What does poor software design look like and how can you safely clean it up? Learn a catalog of common code smells and how to produce cleaner, better designs. Then learn the art of refactoring: how to safely improve the design of code using proven strategies and tactics. Improve the design of your code for easier maintenance and extending behavior. 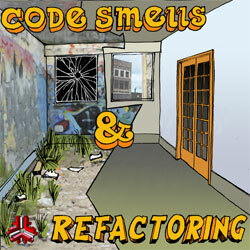 Code Smells help you identify common hazards in software designs. 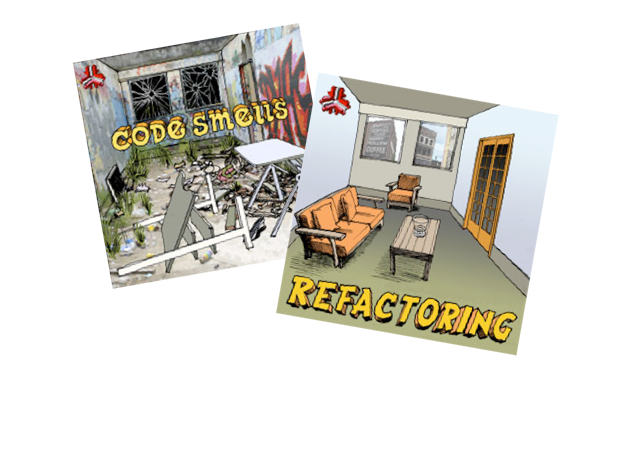 Refactoring teaches you how to safely improve your designs. Start your design improvement journey today. Every box set is 10% off list price. 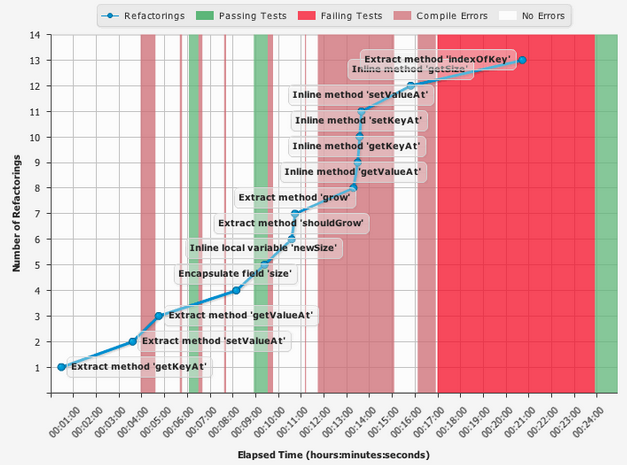 Our refactoring critiques instantly visualize your programming performances, showing you what states you were in (failing tests, passing tests, etc. ), refactorings you implemented, compilation errors you had, the duration of your work, how you scored and what our expert feedback system found was missing from your performance. Watch our experts efficiently explain models, demonstrate tools and solve exercises. Like a good pop song, every video we make holds your attention and gets you into a better development rhythm. No other eLearning system on the planet matches our discussion forums, woven throughout every album. Ask questions, get expert replies, read and weigh in on fascinating discussion threads from a global audience. You can use whatever developments tools you prefer. 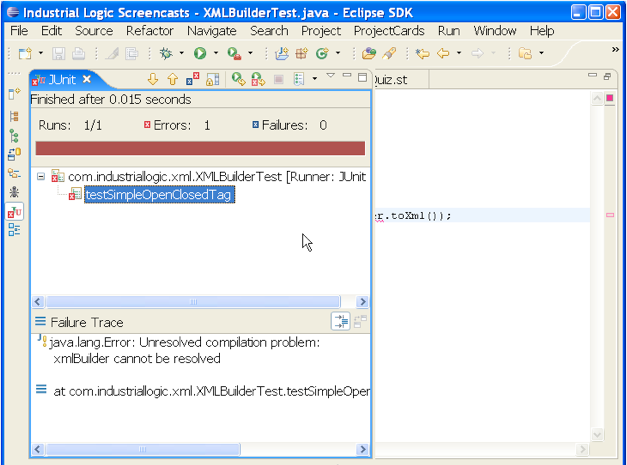 If you do use an IDE (Integrated Development Environment), many (though not all) of our labs come with projects pre-configured for Eclipse, IntelliJ and Visual Studio. Speakers or headphones are required for our videos. Flash is required to view charts or watch videos — download for free. In today's competitive environment, Industrial Logic aims to meet the needs of business customers not only by delivering world-class eLearning but also by providing a high degree of flexibility. Whether your organization is a startup, small- or medium-size business, or a large global enterprise, you benefit as a corporate customer from significant discounts. Volume pricing discounts. It's simple: the more you purchase, the more you save. Custom catalogs. Define your custom catalog of albums and/or box sets that your staff can subscribe to. One-on-one support. You get a dedicated Account Manager; choose the optimal program to meet your organization's specific needs. Timely support. Expert coaches are available to answer your challenging questions within 1 to 2 business days. 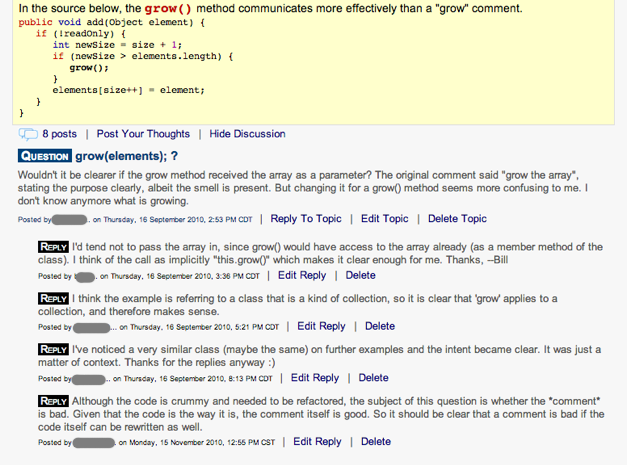 To foster a community of enthusiastic eLearners, we welcome and encourage user feedback. Customized playlists. 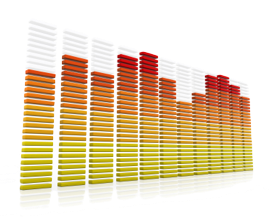 We provide customized playlists to help your staff efficiently navigate through the rich content. Streamlined procurement process. With a single purchasing contract, you can avoid departmental budget constraints, differing purchasing procedures, and other administrative hurdles. Flexible payment options. We offer flexible payment for qualified customers. Unlimited lifetime license. Your students' licenses will not expire, providing continuous access to an effective, ever-improving learning tool. Industrial Logic will tailor our volume licensing agreement to meet the needs of your specific organization, whether you consolidate your organization's purchases into one comprehensive transaction or spread your purchases out over a scheduled period of time. The more you order, the greater your savings. To speak to a dedicated Account Manager today, please contact us. © 1996-2019, Industrial Logic, Inc. All Rights Reserved.